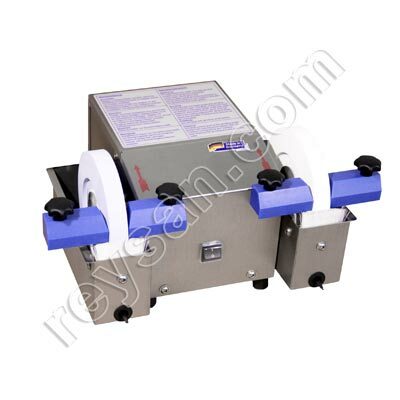 The optimum sharpening angle is already set on the machine. 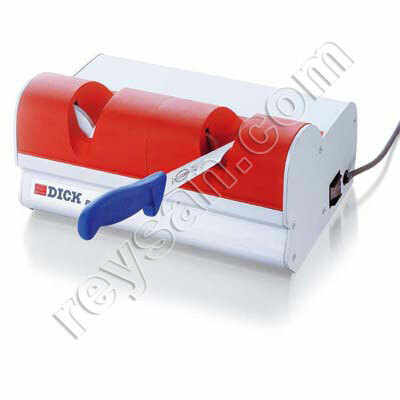 The knife is quickly resharpened by passing the blade through the sharpening wheels. 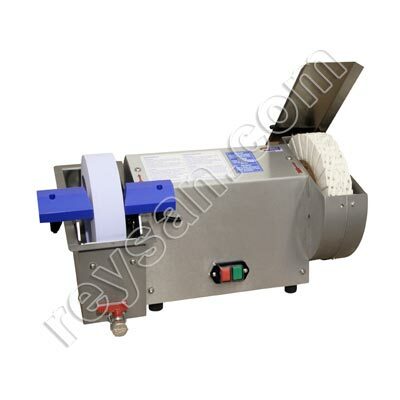 The low rotation speed and the material of the sharpening wheels ensures that the knife blade does not heat up during the sharpening process. The knife will be drawn through the honing wheels. 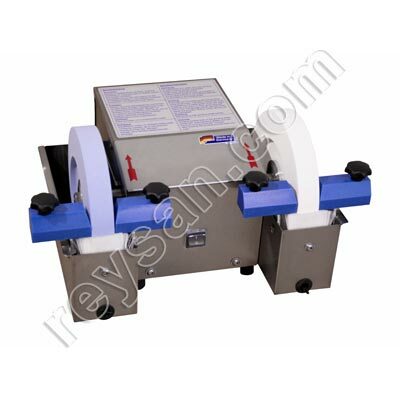 The honing wheels produce a smooth edge, hence a high edge retention is guaranteed. 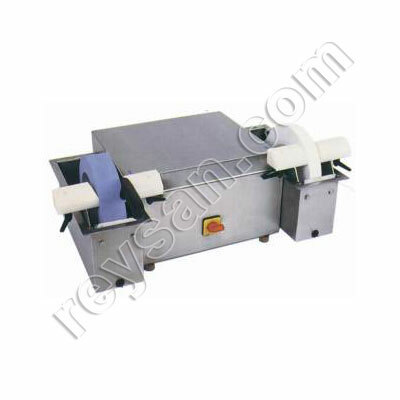 The knife will stay sharp over a longer period of time, before the next grinding process is necessary.